The bearish movement has started around one year ago and had a sharp retracement to 50% of Fibo levels. 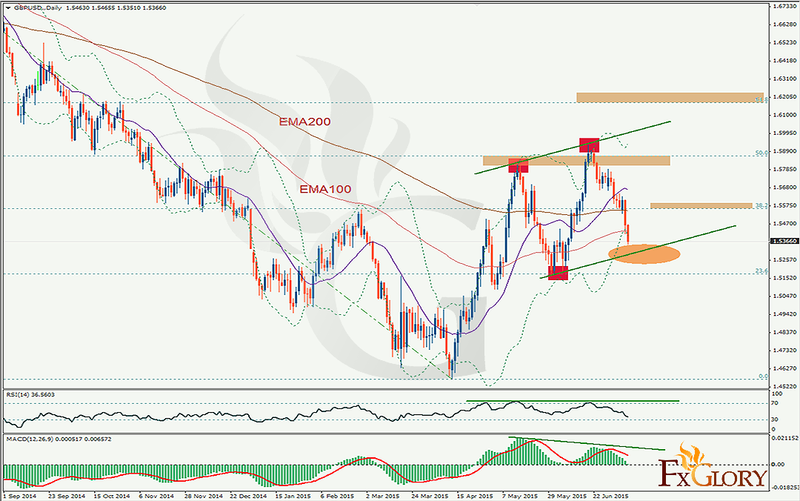 Level acts strongly and hammered the price approximately 650 pips down. Price tried to test that level again and this time was also the same as the previous one. Next attempt had not a strong sentiment behind itself as the two divergence occurred, first on RSI and second on MACD as you can distinguish in figure. These days’ bearish movement seems to be the end of this rally and a retrace upward is expected in this week. If any analyzer wants to confirm long bearish trend and thinks about the end of the retracement, still needs lot of witnesses to prove it. Even if price touches 1.49 and breaks that artificial channel still has very strong supports ahead. The most predictable situation will happened for traders if price respects channel and starts its bullish to retest Fibo levels, Otherwise there is no certain movement for long time traders in GBPUSD.